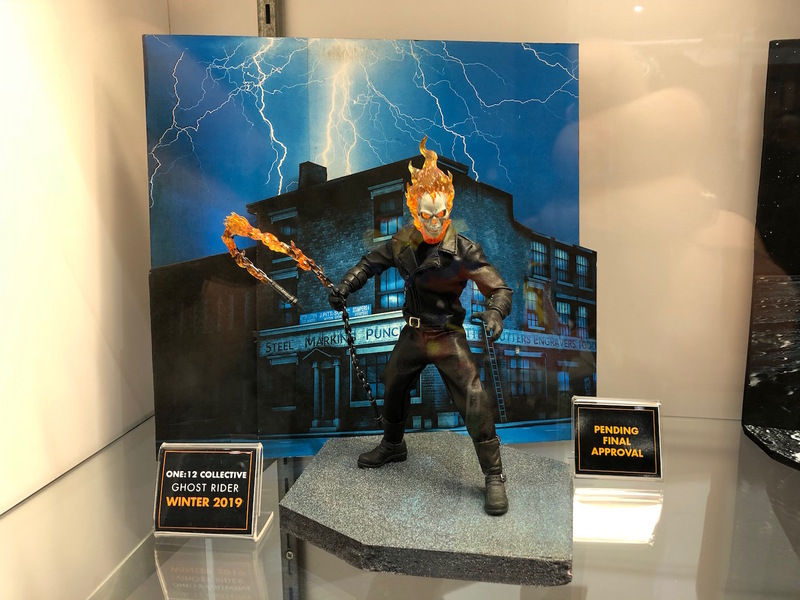 Let’s take a trip through the Mezco booth at this past SDCC, which focused squarely on the fantastic One:12 Collective line. Think it was impressive? It’s no secret, if you read this site regularly, that we love us some One:12 Collective. The line, which debuted a few years ago from Mezco Toyz, is highly detailed and is made in the 6″ scale. It also presents some of the coolest takes on Marvel, DC, and film characters out there. Other than the film-derived figures, most of the figures in the line are unique takes, but only just. They play heavily off of the source material, even though they do have a few original spins. Bottom line, they’re great, and most of the entries that we’ve reviewed here at BG have garnered high scores from us. 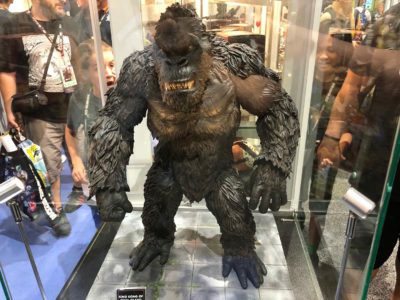 This SDCC we saw many of the same figures that we already saw at NY Toy Fair last February. That’s not to say that everything was recycled from the earlier event though. Take a look at Lockjaw and Black Bolt for instance- that’s some awesome stuff. Likewise that Ghost Rider is seriously awesome, and as a fan of the character, I want that figure yesterday. Aside from One:12 figures, there were also some of the company’s other offerings from lines like Living Dead Dolls. Most of those don’t really interest me too much, or fit in all that well with BG’s general direction. King Kong though, definitely does. We actually showed you these figures back in February, but at the time there was a pretty big question still out there. 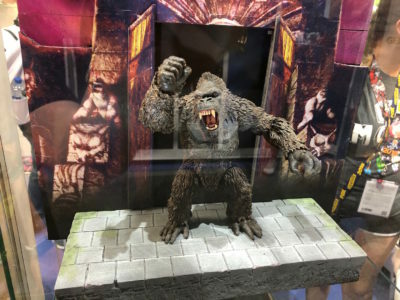 Namely, we had no idea if the giant Kong would be ever hitting retail. Now we can confirm that it actually is. The giant-scale action figure will be hitting retail next year, though the price is still up in the air. It is worth noting though, that the 7″ scale figure is currently priced in at $40 USD. So yeah, it’s gonna be expensive.